Two years after Apple introduced its first unibody computer in the MacBook Air, the company has officially been granted ownership of its unique design and manufacturing process. The ownership comes from a trio of patents officially awarded this week. 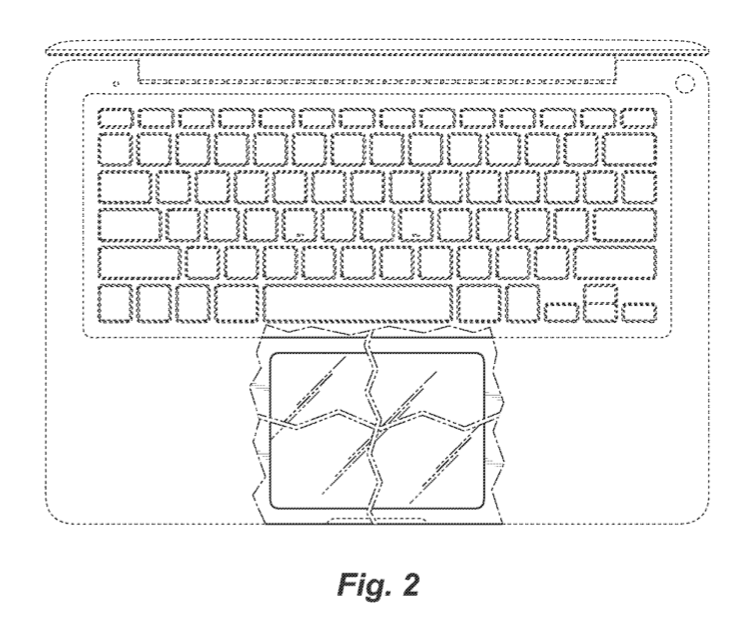 Two entitled "Portable computer" show the design of the MacBook Air, while one, called "Electronic device," apply to Apple's larger, more powerful aluminum MacBook Pro. The patents were originally applied for in 2008 and 2009. Introduced as an ultra-light, ultraportable laptop in January of 2008, the MacBook Air was the first to employ Apple's unique unibody design with built-in battery. Two years later, the computer is still considered to be a marvel of design, with the computer and its 13.3-inch screen squeezed into a body that is no thicker than 0.76 inches when closed. 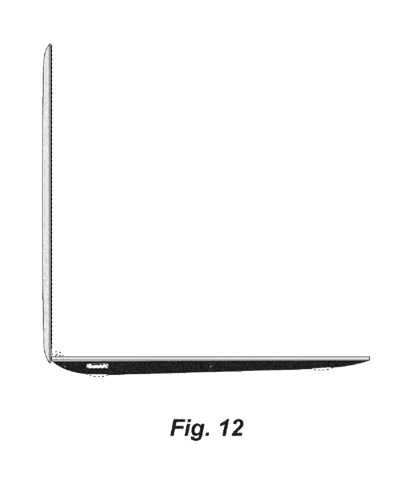 The patents pertain to the computer's glass multi-touch trackpad, and the clamshell design, which tapers to as small as 0.16 inches at its thinnest point. Later in 2008, Apple released unibody MacBooks, employing the same design cues and manufacturing techniques. The computers come from an extruded block of aluminum, allowing them to be thinner and lighter while retaining rigid durability. In 2008, Apple touted the unibody design, detailing the process and noting that the new MacBooks were the "industry's greenest notebooks." The redesigned portable computers also added a glass, LED backlit display. Last October, Apple made the unibody transformation complete, when it took its low-end, $999 plastic MacBook and gave it an upgrade. In the process, the 13.3-inch computer lost a half-pound and gained an LED display with 7 hours of battery life.